Satyaveni's husband died in an accident while working in a rice mill several years back. 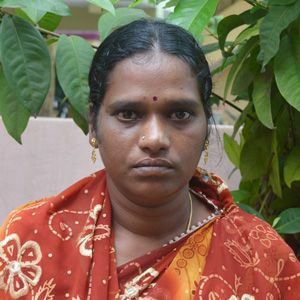 She has two, young daughters, Shanmukha and Dharshini, that she is trying to support financially. Satyaveni's family struggles for their daily bread because it is difficult for her to find consistent work. Your sponsorship will help ensure that Satyaveni's family receives the food and care that they desperately need.